The ultimate victims are children and women, and men may acquire it too. An easy way to relate the disorder to general depression is that the former can be twice or four times more severe than the latter. Every symptom is amplified, even the helplessness, the anger, the noises, and the images of death. There’s no cutesy approach to this type of depression, if you may notice. What’s left is to help the person fight his or her battle without medical intervention, which is highly attainable. 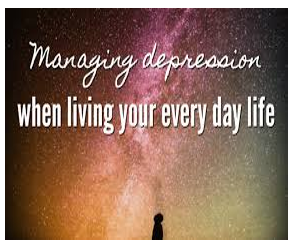 Below are the things a clinical depression patient should do differently. It is effortless for others to suggest, “Stop overthinking, and you’ll be alright.” That part is the hardest to accomplish, in fact, as it’s what’s got many people in that depressive state. The realistic thing to do is distract yourself as soon as you know that you have it. The rowdy amount of negative thoughts that will play in your head all at once may push you to say or commit stuff you’ll regret in the future. You can prevent it by doing something else, especially when you feel like leaving your fate to a knife or a noose. For example, build puzzles. The more the noises keep on ringing in your mind, the more you should continue making them. With 500+ pieces to put together, you’ll have the brain filled with only this activity. Otherwise, look for another hobby that will inevitably distract you from the depression. Another hurdle that makes healing difficult for clinical depression patients is the fear of being rejected by family and friends. Social acceptance has become so important to people that, when they feel less perfect, they avoid connecting with loved ones for a while. The intense episodes of rage, anxiety, sleep disturbance, and lack of concentration may only burn those bridges further. But regardless of how much your mind protests about speaking out about it, bite the proverbial bullet and go for it. Your colleagues and relatives need to become aware of the disorder so that they understand what causes your extreme emotions. They’ll be able to provide the affection, companionship, and all the assistance you may need to get well. Most mental disorders, including clinical depression, have no permanent cure. Meaning to say, they can return and bring destruction once you allow anger and other hateful feelings rule your life. You already know what that’s like, so it’s possible to counter the symptoms if they appear one day again. The key is to remain mindful of your thoughts, emotions, and surroundings. In case you’re getting stressed out, pull back and recover your inner peace. Should you notice yourself having a short fuse when facing a problem, practice breathing or start meditating. This way, you won’t spiral down to the dark, despairing world of depression. 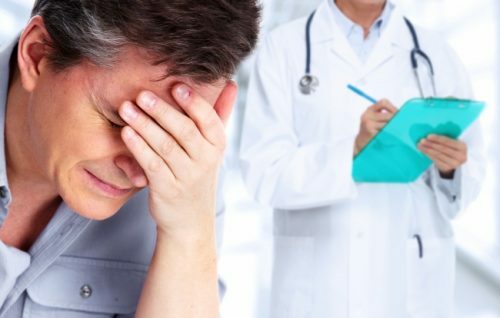 Even though you won’t get antidepressants, a doctor still understands your case better than anybody or the internet. You should speak with him or her to learn how much progress you’ve made. They can also recommend various forms of talk therapy, which may help you more.